Modern architectural trends often use design and physical constructions (reverberant surfaces, clear lines, concrete elements, etc.) to achieve breathtaking effects – at least visually. However, the acoustic conditions of the room may prove to be highly problematic. 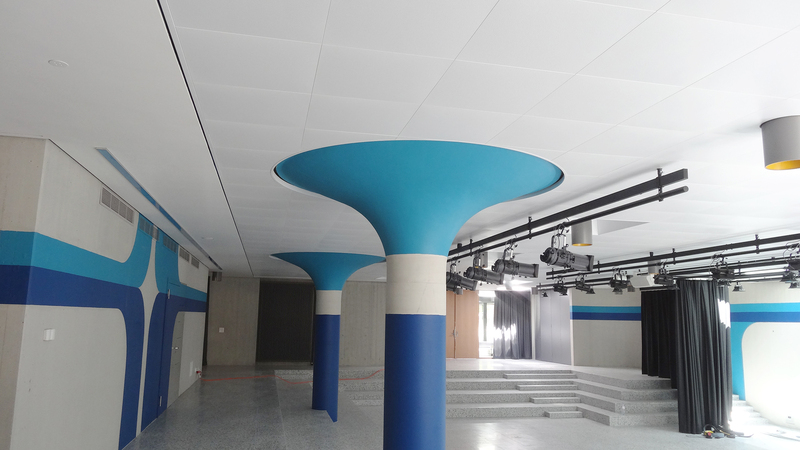 Ceilings made of SonoPerf Office can do a lot more than just provide favorable acoustic conditions: When integrated into cooling ceilings, the bevelled openings of SonoPerf microperforations ensure comfortably homogeneous air distribution in the room. 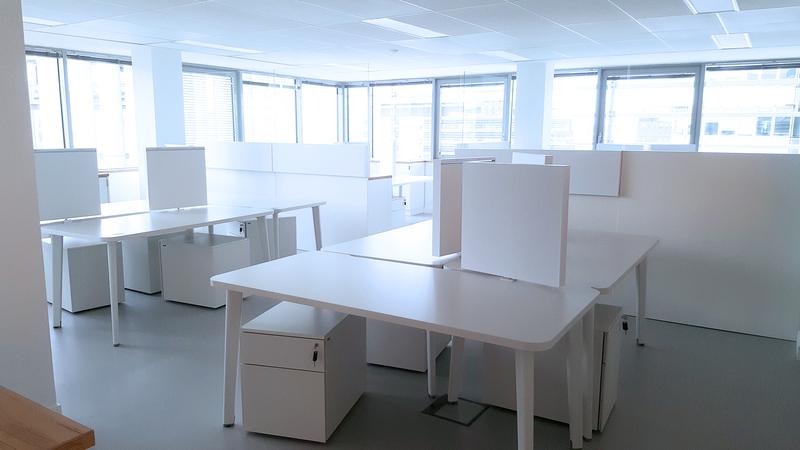 Homogeneous air distribution and efficient noise absorption are no longer contradic-tory objecives with SonoPerf Office. The unique microperforation of SonoPerf Office absorbs sound in a very wide frequency range and, at the same time, acts as an ideal outlet for conditioned room air. The cooled air is directed into the room in a deflected air stream. This method of ho-mogeneous air distribution is perceived as being much more pleasant than air outlets from conventional air conditioning sys-tems. It is the large number of small in-clined openings that ensures this good air flow. 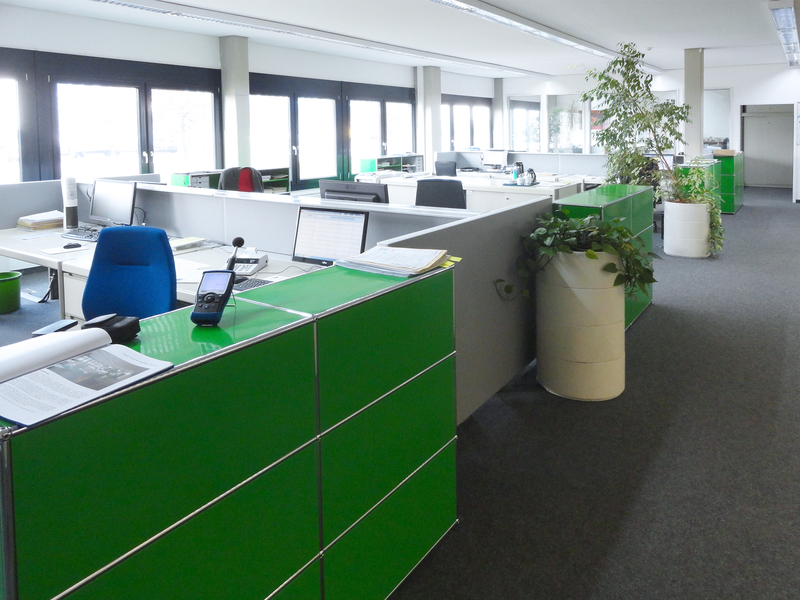 SonoPerf Office is perceived visually as a closed surface without holes from a view-ing distance of two meters or more, which has the positive effect of concealing the air conditioning equipment installed. SonoPerf – a broadband sound absorber made of microperforated electrogalva-nized steel (EGS) or aluminum – targets the absorption of disturbing frequencies in a room. Even under unfavorable conditions, strategically installed SonoPerf Office ele-ments create an acoustically pleaseant at-mosphere. In cooperation with acoustics experts we will be happy to show you options for achieving the desired noise level values, reverberation times, and speech intelligi-bility in your office or conference room.De-pending on the specific situation, absorp-tion rates of up to 1.0 can be realized. Detailed measurements for targeted and sustainable planning of acoustic enhance-ments are available on request.